We all know just how quickly technology moves on. In this day and age children are always looking for the next video game console or smartphone (and let’s be honest, most of us adults are too), but as soon as you buy one Xbox or iPhone a new and improved version is announced. And then it’s on to the next thing. It can certainly be hard to keep up. It sure can be expensive, too. In the same way that a new car depreciates in value as soon as you drive it off the lot, the truth is that technological equipment suffers the same fate. It’s expensive enough to buy new, but when you factor in that you’ll probably have to buy the next ‘thing’ soon after, while getting nowhere near what you paid for it if you try and sell, then bank balances are bound to be stretched to near breaking point. For anyone managing a school’s finances, you’ll know all about the trials and tribulations of maintaining your technological equipment on a tight budget. So instead of buying, just why is leasing PCs, laptops and other equipment a more beneficial choice for schools? Not only will technological equipment become outdated, it will eventually become obsolete. This could mean that the computer programs school children are using to work on may not even exist in a year or two, leaving them needing to learn entirely new practices when moving on to the next educational level. When you lease, you ensure that your school completely skips the financial strains which obsolescence presents as the burden remains with your equipment leasing company. So if you find you’re stuck with 100 plus PCs, laptops or Macs that are falling behind the times, you can simply upgrade to the newest and fastest equipment as soon as your existing lease expires, all at a price that suits your budget. From the Macbook Air to the latest HP Probook 450 laptops, the Lenovo Thinkcentre to the new, thin iMac, it couldn’t be easier to keep up and ahead of the times. Hardsoft offers you the opportunity to renew your lease with options to return or retain your old equipment, too, so you could even sell on the equipment you’re looking to replace. When planning a school budget you always have to account for the repairing and maybe even replacing of your technological equipment. The financial woes are not true for schools who lease, as instead they have a pre-determined monthly fee which often includes equipment maintenance. 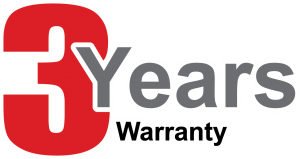 If you were to buy a line of Apple Macs from Apple directly, your warranty would only be for one year, with the possibility of extra options. Hardsoft, on the other hand, offers inclusive warranty and support for three years, plus enhancements for loan units and insurance. Fixed weekly or monthly fees allow you to best utilise your budget in other areas, so when it comes to your technology just leave it to your leasing provider. Leasing can enable your school to acquire the most sophisticated equipment available within your budget, allowing you to stay ahead of the game and rival schools without draining your financial resources. You may even consider leasing technological equipment that your school hadn’t considered before. For example, Hardsoft has teamed up with Apple to offer iPad leasing packages for schools. 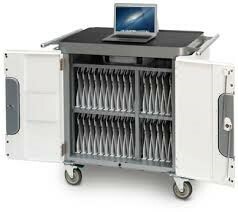 These packages can be completely tailored for your school, and all of them come with an Apple Learning Lab – a unique and innovative piece of equipment allowing you to transport, charge and manage up to 30 iPads at once using the Apple Mobile Device Management system. As it’s so convenient to move the iPads around and charge them, you may only need one iPad package to cater for your entire school body. Many schools are already benefiting from some of the amazing leasing packages that are available. If you need any help or advice, do get in touch on 0207 111 1643 or email Hardsoft at sales@hardsoft.co.uk.